I thought I would kick off this Witchy Wednesday with a look at Practical Magic (Kindle) by Nikki Van De Car. Instead of a traditional review I thought I would take the next few weeks to go into each of the chapters with you at my first read as opposed to reading the entire book and then giving a review. This will give me the chance to take questions or even discuss the sections with you guys as I read them. Since I'm doing it this way take a moment to post some comment or continue to use the "message me" form to add to the discussion. So the introduction to this book appears to be directed towards those who are not magical in nature. For example there is a sentence that actually says, "This book is directed to those who finds their daily horoscope weirdly accurate...." I think that appealing to that market is actually a great idea. More people need to get in touch with their spiritual level. I think that the less time I spend in front of a TV or computer the more connected I am with the natural world. Of course we all know that is where the magical world resides. I like the section on balancing the individual chakras using the associate oils and crystals mentioned in the book. 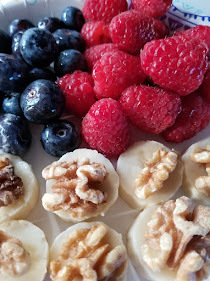 For example the author recommends going barefoot to feel the earth or look for the color red specifically in food when balancing Muladhara, the root chakra. 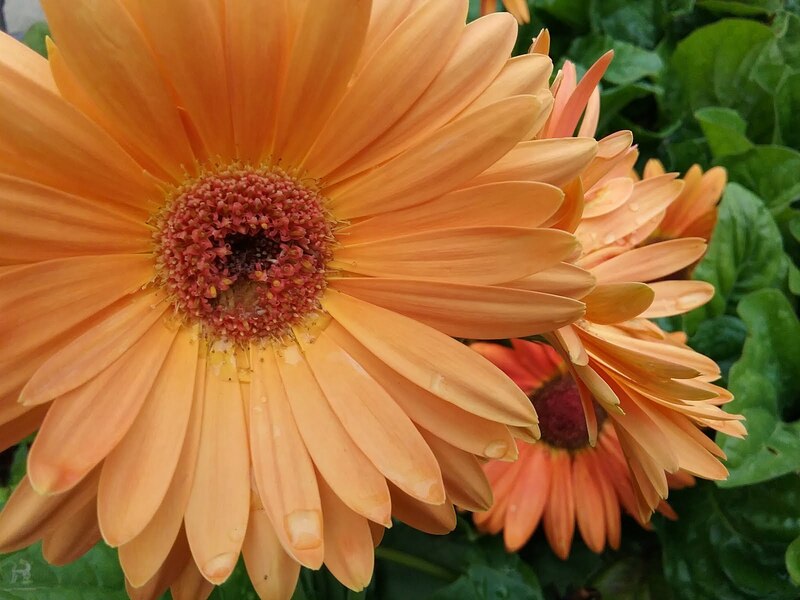 A balanced root chakra can make you feel fearless and safe. Recommending cedar, clove and myrrh as oils to aid in balancing. I found it interesting that the Sahasrara (the crown) chakra being blocked can add to nightmares, insomnia and migraines. I have many friends who have migraines. It would be interested to see if doing work around their crown chakra helped with that. According to the author working with the color purple and frankincense essential oil can aid in balancing that chakra but the best way to work with this chakra is through meditation. 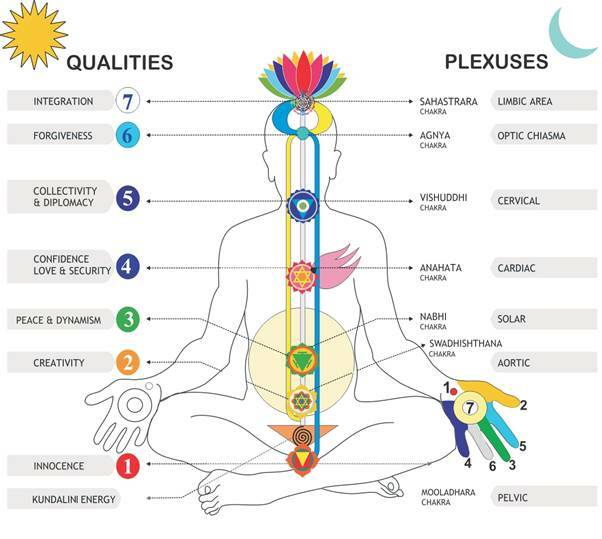 Here are a couple of videos on balancing the crown chakra. So there you have it. 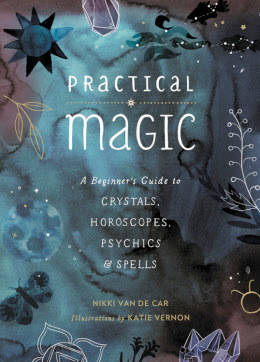 Chapter one of this book Practical Magic by Nikki Van De Car. 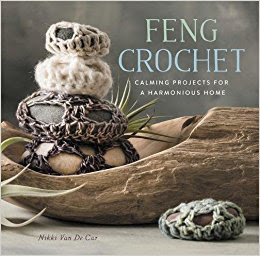 I think at the end of this review I'll do a giveaway with this book, the matching kit and another book called Feng Crochet all by the same author. I will choose a winner at random from the comments on all the blog posts in this series. Be sure to toss a comment to be included. I look forward to seeing your comments and reading your messages on this post!